NEXT YEAR’S CAMPAIGN WILL BE HELD IN NYC FROM FEBRUARY 24-25, 2012. PLEASE CLICK ON THE LINK BELOW FOR DETAILS! For those of you who may be unfamiliar with our event , here is a brief description of what we do andWHY…As we all know, Histio diseases are put into the “rare” category. Meaning what? Meaning not enough doctors know about it so our children go undiag…nosed? Yes, unfortunately this happens often in the Histio world. It also means that government does not feel it affects “enough” people to warrant federal funding for research, treatment, and what we all want, a cure.When you have been told your child’s disease is “rare”, you feel alone, helpless, and most of all scared of the outcome. 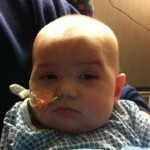 Knowing the government does not recognize this disease which is wreaking havoc on your child is disheartening. This is why parents do what they can to bring attention to this disease by having fundraisers, starting foundations, or doing what supporters of Liam’s Lighthouse Foundation did last year.As we forge ahead with our plans for 2012 to raise money for research, and ultimatley help fund a cure, we continue daily to spread awareness in the community and medical field, offering hope and information to those still in the dark about this awful disease. Last year’s event was AMAZING to say the least! People traveled from as far as the UK to help raise HISTIO AWARENESS!!! So many wonderful families came to New York to honor thier loved one and stand up and tell the world about histio!! It was VERY empowering!!! In the past 2 years we have traveled to New York City to “The Today Show” on or around Rare Disease Day (usually the last day in February) and we go armed with poster sized prints of all of those who have been diagnosed with histiocytosis (children & adults). These posters are held by friends, family members, and volunteers standing outside The Today Show to be seen on National Television. Each year we have been interviewed on live TV and have been able to speak about histiocytosis. We convey the message about how underfunded and unknown this disease is to most of the medical community, and we stress the importance of awareness on all levels, parent advocacy, doctors, EVERYONE. We have recieved an overwhelming response from all over including many in the medical field who have visited our website and told us they are fresh out of medical school and it was NOT covered in their curriculum. One of the goals this year is to expand our awareness catching activities to include not only one day at The Today Show, but two! Due to overwhelming requests, we have decided to make Liam’s Lighthouse Foundations 3rd annual Histiocytosis Awareness Event a 2 day event. 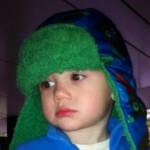 We will be going to The Today Show on Friday morning 2/24/2012 , and Saturday morning 2/25/2012. This will alllow us to deliver a message to the millions of people who faithfully watch The Today Show, and also allow those who dont watch TV M-F due to work obligations to see all of the faces of histio. THIS IS NOT MEANT FOR PEOPLE TO CHOOSE ONE DAY OR THE OTHER TO BE PRESENT. WE NEED EVERYONE THERE BOTH DAYS TO MAKE AS GREAT OF AN IMPACT AS WE DID LAST YEAR! The plan again for this year is to fill the crowd outside with as many “Faces of Histio” as possible. 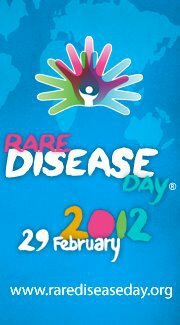 Imagine the response when the world sees all the faces of those affected by this disease. Remember, there is power in numbers, and in numbers we can make a difference. This year we have so much more planned for spreading awareness and making great use of our time in New York. Check this link for the ITINERARY! We will be letting off lanterns for our Histio warriors and angels! If you would like to light one off or have one let off for your warrior or angel, we just ask you make a $6.00 donation on our page: http://www.liamslighthousefoundation.org/Contact.html. Please let us know in the “comments” area whom it is for. For your convenience, we have contacted a few hotels and had the opportunity to block some rooms at each with a discounted rate. However, please feel free to stay wherever you like. Below is a list of hotels in and around Rockefeller Center where we will be conducting our awareness campaign. We choose a diverse group of hotels for you to choose from based on customer rating, price, and location. We have been able to secure group rates at several of these hotels for our group. Each individual calling in to book a room will need to pay for said room individually, but should mention you are with Liam’s Lighthouse Foundation to be offered the group rate. We also included a couple hotels that do not offer group rates but were choosen due to their location and or price. Please take a moment to review these hotels online to decide if you would like to stay at any of these. All reservations must be accompanied by a first night room deposit or guaranteed with a major credit card. 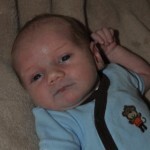 The Hotel will not hold any reservations unless secured by one of the above methods. Reservations for all guests must be received ON OR BEFORE FEB. 3RD! (the Cutoff Date). After the Cutoff Date, the hotel will release any unreserved rooms for general sale and, in the hotel’s discretion, will accept reservations at Liam’s Lighthouse Foundation’s group rate, on a space and rate available basis. Our new restaurant features New American cuisine and serves breakfast, lunch and dinner. The décor features a dazzling 21-foot high spiral centerpiece with 11 TVs and a 20-seat bar. Menus feature various selections for sharing as well as full entrees. Guests can call 1.800.HILTONS and ask for the Liam’s Lighthouse Room Block at the Hilton Times Square Hotel. RESERVATIONS: Reservations will be made by: Rooming List NO LATER THAN JAN 26TH! After that date, you agree that we may offer unused rooms held in your block to other customers. Reservations requested by your attendees after this date will be accepted based upon room and rate availability. Room and tax will be paid by individuals. Guest pays own incidentals. ■Spacious, newly appointed guestrooms with 32-inch LCD flat panel televisions, refrigerator, microwave, safe, coffee maker, and large work desks with adjustable lighting and ergonomic chairs. ■Complimentary high-speed wired and wireless Internet access is available in each guestroom, featuring secure remote printing directly to our hotel’s business center. ■Complimentary 24-hour Fitness Center, complimentary 24-hour Business Center, and complimentary wireless Internet access in the lobby. ■Complimentary morning coffee, tea, and USA Today®. Pigalle Brasserie, a 1950′s Paris style café, offers breakfast, lunch, dinner and evening room service. Pavilion Pantry® convenience mart is stocked with snacks, drinks and more. ■In the heart of Times Square, steps from Broadway theaters, Central Park, Carnegie Hall, Radio City Music Hall & Rockefeller Center. Our Hilton Garden Inn Times Square hotel is the closest Hilton Garden Inn to Times Square & Broadway theaters. This hotel was chosen for location and price. It is suitable for 2 adults as the rooms are small. FOR NOW, WHAT I AM ASKING IS FOR EVERYONE TO SEND ME THEIR PICTURES ASAP if you would like yourself/or your loved one affected by histio to be honored in New York. This is a VERY long process and we went to New York last year with almost 100 posters , and almost 150 volunteers. This year we predict we will have 400 posters and over 500 family members & volunteers. I WILL TAKE SUBMISSIONS TODAY UNTIL JAN 31ST! Please do NOT wait until the last minute to submit your picture, the printer doing the posters is offering them to us for COST and does them when he can so please let’s not send him 300 posters all at once before our event. If you wish to submit your pictures, please send me 3 different pictures ( only 1 will be made into a poster) we will choose the one that enlarges best. PLEASE POST YOUR 3 PICS ON THE WALL OF THIS EVENT with histio warrior/angels name. I will print them out and take them to the printer from there, so PLEASE remember to tag me, Rochelle Griger Wilkinson, in the picture so I can save & print. Once we make the poster, we will use the same poster every year you WILL NOT need to pay to have one made again. They are water proof and hold up very well. We will email you a RELEASE FORM for you to sign once submission is complete. Once this is done you will be covered for all of our future events. Exciting sponsorship opportunities available for your business name to be seen on national TV as follows: $300 for a spot on banner along with other businesses, or $600 for a banner of your own. Go to http://liamslighthousefoundation.org/Contact.html to make your donation today! If you would like to be present on this day and help us bring awareness in person, we would love to have you! If you cannot be present but would like your child’s picture featured that day on national television as we did last year and we will arrange for a volunteer to “adopt” your poster for the day. 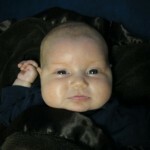 Please visit http://liamslighthousefoundation.org/awareness_campaign.html to see what we accomplished in the last 2 years to help increase HISTIO AWARENESS!! Those attending our awareness campaign ARE REQUIRED TO REGISTER online at http://liamslighthousefoundation.org/awareness_campaign.html in order to get a wristband needed for participation in all activities. Please state in the COMMENTS area which dates you will be present and where you are staying. Please fill out ALL information especially phone and email in case we need to get in touch with you. 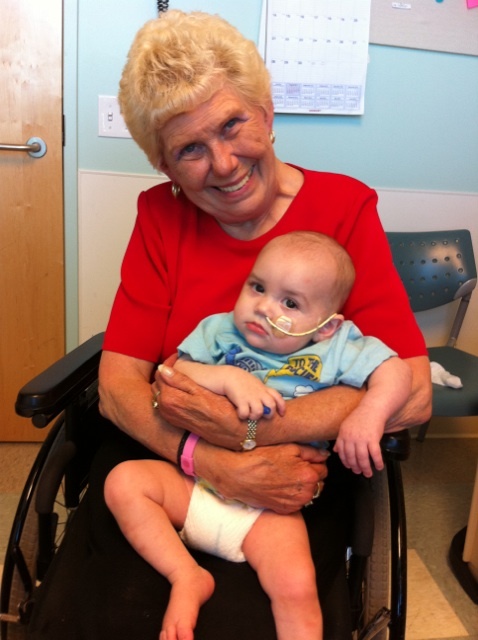 WHO WOULD LIKE TO WIN A NEW IPAD 2 AND HELP SUPPORT HISTIO RESEARCH? We are having a raffle for a new IPAD 2 to raise money for Histio research. GO TO :http://liamslighthousefoundation.org/awareness_campaign.html $20.00 and in the comment box enter your name, + the name of the person who sold you the ticket, plus your cell phone number so we can call you when you win! The drawing will be done in NYC at our awarness event in the middle of Times Square on Feb 25th… PS. we are having 4 raffles we will have 250 tickets in each bowl and will be giving away 4 IPADS so your chances are 1 in 250 our goal is to sell 1,000 tickets please help us get there! We are super excited for this year’s event and look forward to seeing everyone!! 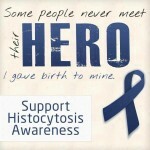 Together, we will make a difference in the world of Histiocytosis! LOOKING FORWARD TO SEEING EVERYONE AGAIN THIS YEAR AND WELCOMING NEW FAMILIES TO OUR CAUSE! 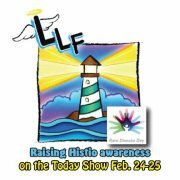 This entry was posted in Histio Awareness - HLH, Hemophagocytic Lymphohistiocytosis and tagged Dr. Filipovich, Hemophagocytic Lymphohistiocytosis, Histio Awareness - HLH, Liam’s Lighthouse Foundation, Rare Disease Day, The Today Show. Bookmark the permalink.